Experience a gorgeous sakura viewing to highlight your journey in surrounding areas this Cherry Blossom season! On time, professional, helpful even though the driver didn't speak english at all (made it a bit challenging to communicate that we needed to pick up train tickets before leaving or letting him know the entrance to the hotel was on the opposite side of the street) but overall great experience after a long flight to Japan. Definitely recommend the transfer. Get US$1.2 back in Klook credits for your next trip when you book this activity! Complete this Klook activity to get 1%-3% of the activity cost back in free credits to use on your next booking. For example, book US$117.60 to get US$1.2 free credits. 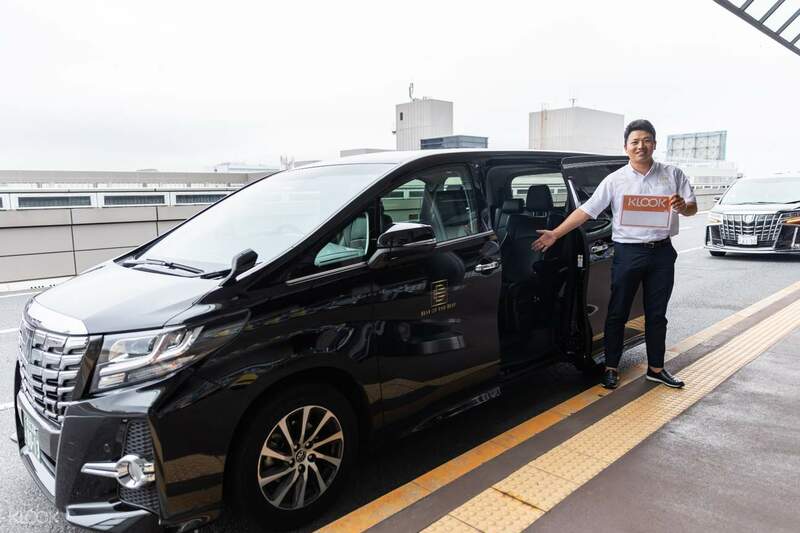 Start your trip to Japan the right way with a convenient airport pick up and transfer to downtown Tokyo, Hakone, or Karuizawa. These journeys can be costly and difficult to arrange when you have bulky luggage or the rest of the family traveling with you. 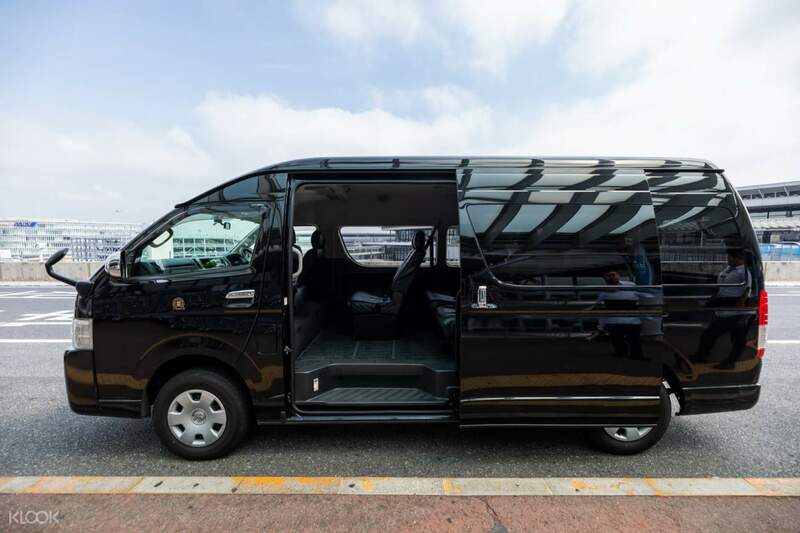 By booking a private car transfer in advance, you can enjoy the ease and convenience of a pick up service with an experienced driver upon your arrival at Narita Airport. Choose between a 7 or 10 seater car depending on what best suits your traveling party. 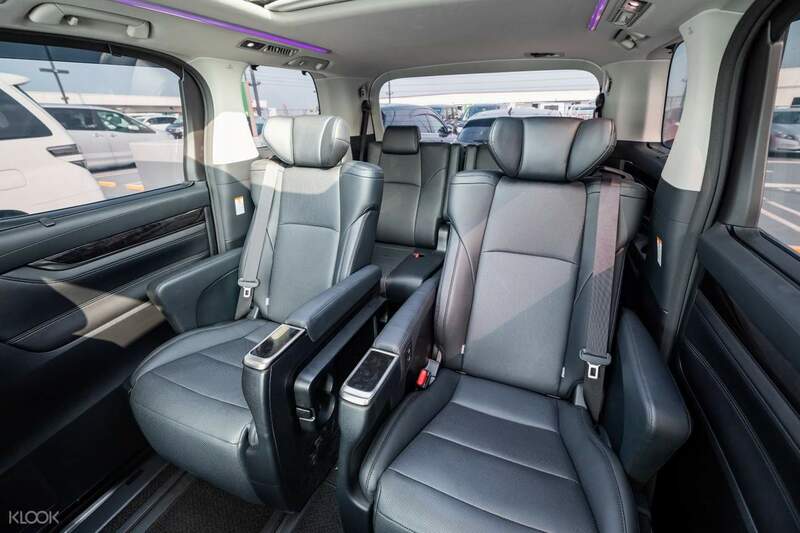 With your transportation in safe hands, sit back and relax in the exclusivity of your private, air-conditioned vehicle. Enjoy spacious vehicle options that are good for a traveling party of 6 or 9 people, plus luggage! After walking around Tokyo for the past 7 days, riding in a private car on the way to the airport is a welcoming experience for our tired bodies. The driver was early, professional and kept the car very clean. It was a worthwhile activity and will surely book this again when we come back. After walking around Tokyo for the past 7 days, riding in a private car on the way to the airport is a welcoming experience for our tired bodies. The driver was early, professional and kept the car very clean. It was a worthwhile activity and will surely book this again when we come back. Great service from the transport company, WhatsApp me a day before as a reminder and whatsApp me again if I’m ready so the driver could pick me up. Driver also very helpful and nice, especially when we have so many luggages! Great service from the transport company, WhatsApp me a day before as a reminder and whatsApp me again if I’m ready so the driver could pick me up. Driver also very helpful and nice, especially when we have so many luggages! Rita the operator assistant is nice and very professional. She will message you before the day of the service. The driver is early and accomodating. And he was very nice to. His driving is very safe. Good for all types of traveller who needed a hassle and stress free service. Rita the operator assistant is nice and very professional. She will message you before the day of the service. The driver is early and accomodating. And he was very nice to. His driving is very safe. Good for all types of traveller who needed a hassle and stress free service. Booking here in Klook is very helpful for travelers to get discount and easy access. I love Ms. Rita very easy to communicate with her. Thanks Klook! God Bless. Booking here in Klook is very helpful for travelers to get discount and easy access. I love Ms. Rita very easy to communicate with her. Thanks Klook! God Bless. The driver was on time and very patient in waiting for us. He even helped us take care of claiming various vouchers I pre-booked at the airport. And also the local assistance was very helpful. Experience was awesome! The driver was on time and very patient in waiting for us. He even helped us take care of claiming various vouchers I pre-booked at the airport. And also the local assistance was very helpful. Experience was awesome! Booked this for our first trip to Japan and all went according to plan. After a tiring 10 hours of travel, our family group of 8 (5 adults and 3 kids) were very glad to be met at Narita Airport in the appointed place and taken directly to our hotel in a modern, clean vehicle. Communication was excellent via email and whatsapp. Driver was punctual and courteous. Would definitely book again. A great start to our holiday! Booked this for our first trip to Japan and all went according to plan. After a tiring 10 hours of travel, our family group of 8 (5 adults and 3 kids) were very glad to be met at Narita Airport in the appointed place and taken directly to our hotel in a modern, clean vehicle. Communication was excellent via email and whatsapp. Driver was punctual and courteous. Would definitely book again. A great start to our holiday! It was a hassle-free experience for us last December in Tokyo. Instead of taking the bus or the train with our heavy luggages, these transfers were worth its price. The driver and the company will reach out through sns to confirm your pickup hotel and pickup time before using the service. We didn't have to worry with reaching the hotel nor the airport. Thanks! It was a hassle-free experience for us last December in Tokyo. Instead of taking the bus or the train with our heavy luggages, these transfers were worth its price. The driver and the company will reach out through sns to confirm your pickup hotel and pickup time before using the service. We didn't have to worry with reaching the hotel nor the airport. Thanks! It was predicted to have snow storm the day we head to narita airport, so we asked hotel to contact the driver if he can arrive 30min earlier than our asking time. Driver agreed and indeed arrived a lot earlier in front of our hotel. It was a Japanese driver with his uniform and gloves. Provided service as described in Klook. Driver was very professional and we arrived earlier to the airport than expected. It was predicted to have snow storm the day we head to narita airport, so we asked hotel to contact the driver if he can arrive 30min earlier than our asking time. Driver agreed and indeed arrived a lot earlier in front of our hotel. It was a Japanese driver with his uniform and gloves. Provided service as described in Klook. Driver was very professional and we arrived earlier to the airport than expected. Booked the transfers from our hotel to Narita Airport. The CS is very helpful to accommodate to our request to have the driver fetch us half and hour earlier than the scheduled time. The lady driver is very friendly and helpful. We had a pleasant experience with her. Booked the transfers from our hotel to Narita Airport. The CS is very helpful to accommodate to our request to have the driver fetch us half and hour earlier than the scheduled time. The lady driver is very friendly and helpful. We had a pleasant experience with her.